Q: Is Auto Auction of San Diego open to the public? A: Yes, it is open to the public and there are no entry fees! Q: When is your auction? 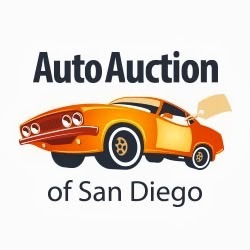 A: Auto Auction of San Diego will host an auto auction every Saturday, RAIN OR SHINE! Gates Opens at 9AM on Saturday and the Auction will begin around 11:00AM. Q: What are the advantages of buying a vehicle from Auto Auction of San Diego vs a car lot? A: You have the power. You examine the vehicles, You determine their value, You bid appropriately. Without the costs of maintaining a used car dealership, you can walk away with a great car at a much better price than you would find at a dealership. A: The vehicles come from a variety of places: Donations, U.S. Marshal’s Office / Government Seized Vehicles, Bank Repos, Consignments, Impounds, Dealer Trade-ins, Dealer owned vehicles and Company owned fleet vehicles. Q: Who is eligible to purchase a car at the auction? A: Any member of the public that is at least 18 years of age. Q: Are there warranties available? A: No. All vehicles (unless indicated otherwise), are sold on a “AS-IS, Where-is” basis. There are NO GUARANTEES OR WARRANTIES. Q: How long does the live auction usually last? A: It takes about 1-3 minutes per vehicle to auction. The bidding lasts for approximately 3 – 4 hours. Q: How do I know what is going to be sold at your next auction? A: We have over 120 vehicles each and every week. Most vehicles that are featured on our web site but the best way is to come to the auction at 10:30 AM and take a look. There are no entry fees or costs to take a look. Q: Can we look/check at the vehicles before the auction? A: Yes! The vehicles being auctioned are available for inspection on Saturday morning, from 9:00AM to 11:00AM. You can even bring a mechanic to thoroughly inspect the vehicle(s) you are interested in. Q: Is there a fee/cost to enter the auction? Q: How long do I have to pay the balance of my purchase? A: You have until 4PM the following business day to pay your balance or you will forfeit your deposit. 4Pm Monday (except holidays) for the Saturday auction. Q: Do you finance purchases? A: No. All vehicles must be paid in cash. Q: How do I register my vehicle? A: We will provide the winning bidder all necessary paper work, including DMV registration and transfer forms. ALL DMV FEES/EMISSIONS EQUIPMENT, FEES AND TESTING AS WELL AS ALL RELATED REPAIRS ARE THE RESPONSIBILITY OF THE BUYER. Q: How can I pay for my vehicle? A: A $300 or a $500 non-refundable/non-transferable deposit is required when you are awarded the bid. You must pay for items awarded to you in full by the end of the following business day. If you do not, you will forfeit the full amount of the deposit. NO EXCEPTIONS. Q: If I purchased a vehicle that has a bad transmission/motor, can I get a refund? A: NO. ALL VEHICLES ARE SOLD “AS-IS, WHERE-IS.” Unfortunately some vehicles do require minor to major work. You assume the risk when purchasing these vehicles. If you are not in a position to take these chances, please do not bid on any vehicle. Repairs are your responsibility and we recommend going to a reputable auto dealership that offers guarantees and/or warranties. IF YOU DO NOT SEE YOUR QUESTION, PLEASE FEEL FREE TO CALL US @ (619) 281-3333 MONDAY – Saturday 9 -5. THANK YOU.